LOVE this product. 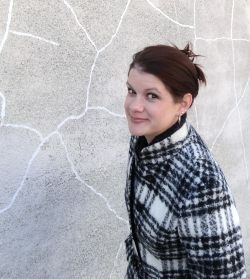 Not too spendy, easy to wash off and bright vivid colors! My son had fun with this paint. I did have a little trouble getting the pain out of his shirt. Love the coloring and how it turns out when using. Most paints become not so bright or clear when putting on paper but this keeps its vibrant colors. It also is very true to the washable paint as my daughter would be covered in paint and just throw anything in the wash and it is out without a trace! Kids are never to be left alone with such as things that is why parent supervision. I found very good ,learning when it come to use paint... My kids enjoy making a mess and creating all kind of things with their fingers,hands and shoe to me. I am sure to recommend. This . We love these paints. They have a good consistency and are priced just right. The colors are vibrant and are washable. However the lids come off too easily and the paint dries out quickly. I'm starting arts & crafts a bit early with my 12 month old, but hey we have to do something new to keep us occupied every day! 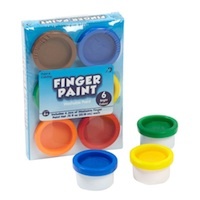 These finger paints, are a nice consistency and easy to spread. Pretty easy clean up by most standards, but I still have my little one paint outside just in case. Came out of her clothing just fine!